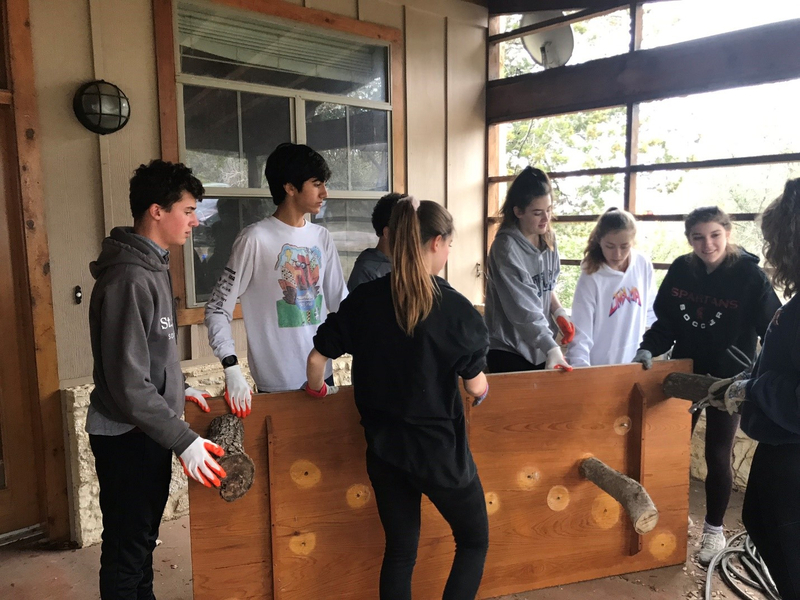 In January, a group of 25 St. Stephen’s Episcopal School tenth-graders fulfilled their annual community service hours working on conservation projects at Westcave Preserve. 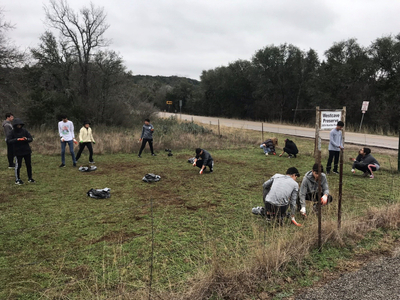 One set of students focused on removing malta starthistle (Centaurea melitensis) from two areas of the preserve by pulling the plant up by its roots. The other group was tasked with taking apart two old, decrepit benches. By using their brains and brawn, they were able to disassemble the unique but worn benches. What is Malta starthistle? Malta starthistle is a non-native and highly invasive plant introduced to the U.S. from Europe and Northern Africa. If left unchecked, this plant quickly spreads, and will dominate native forbs and grasses. It provides little value to wildlife and does a poor job of retaining the surrounding soil. Malta starthistle is a prolific seed producer. The starthistle grows rapidly and is highly adaptable to environmental variation. It typically out-competes native plant species for sunlight, space, water, and nutrients. Other features that facilitate invasiveness include a deep taproot that accesses available soil moisture, winged stems that dissipate heat, and formidable spines at maturity that deter grazing by livestock or wildlife. 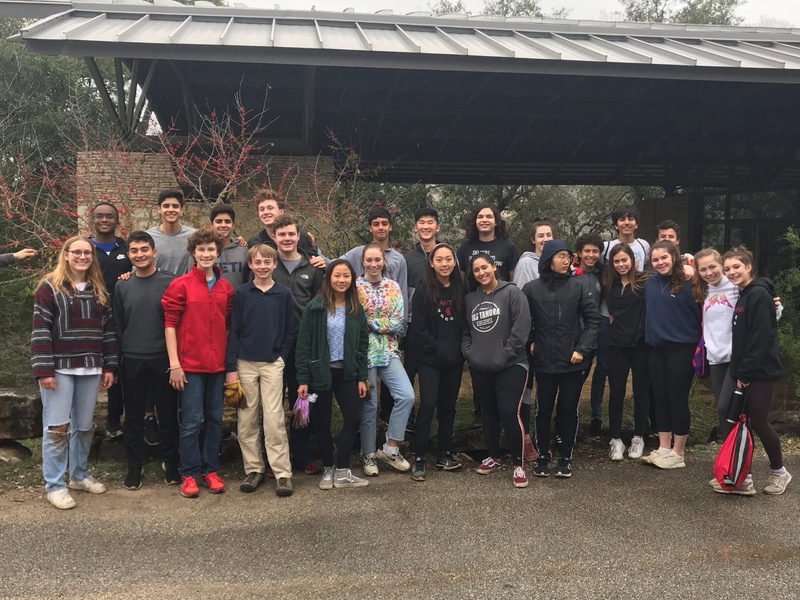 We appreciate the time and work that the St. Stephen’s students spent at Westcave Preserve. We could not have accomplished either of these projects without their help and look forward to working with the tenth graders from St. Stephens for years to come!